Get the Most Profitable View of the Market Ever Created. Using "heads up" displays and modern systems, fighter pilots always know where they are and what is around them. When TRADING THE MARKETS, the need for clear situational awareness is no different. Many traders fumble in the market looking for the next great trade. With VisualTrader, the trades come to you! 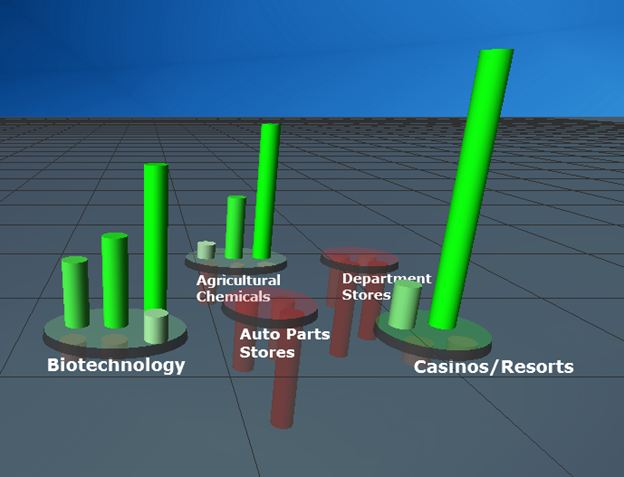 With VisualTrader's patented 3D display see which stocks are moving the market. With VisualTrader's Signals and Patterns, the Trades Come to You. 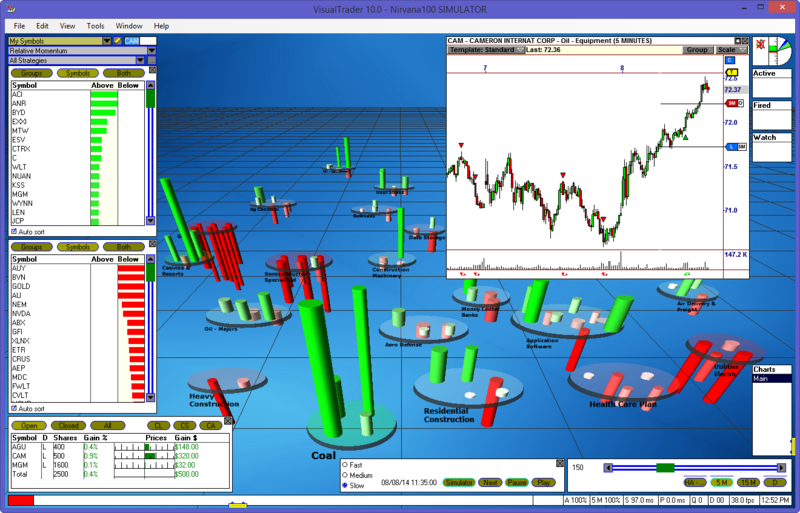 Practice BEFORE you Trade with VT's Built-in Simulator. 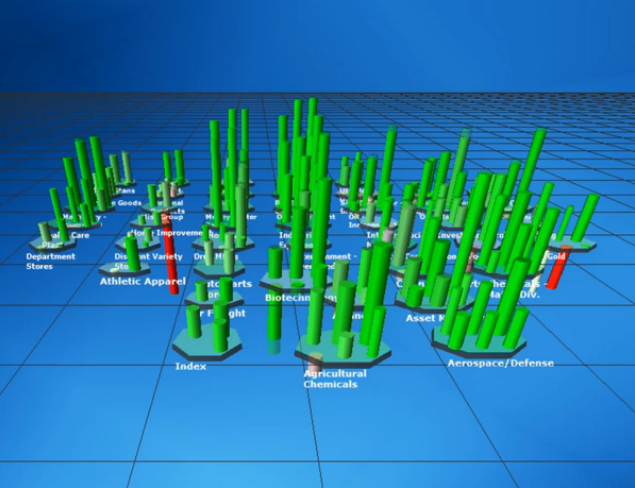 VisualTrader uses patented technology to give you a 3D view of exactly where the market is going. "VisualTrader is unparalleled for making the complexity of the market simple to understand… For me it has been a license to print profit—year after year." If you already own VisualTrader, be sure and upgrade to the latest version to enjoy all that VT has to offer.